June 17/I have a meeting today in a workplace from the morning. I participated in a special lecture class after it was finished. After return, I go out to neighboring Okinawa dish with my assistant and my wife really after a long absence. 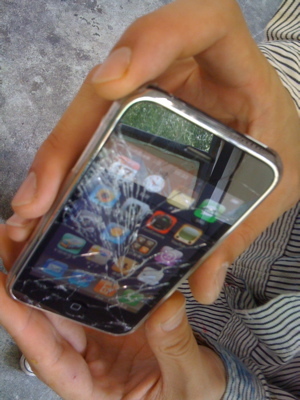 I was impressed by fantastic scenery and took one piece of picture with iphone from the bar. I just drink liquor too much in happiness to make my life to be able to exceed weather utterly, even though in the rainy season. In Japan, as for this season, the temperature is low, but it is generally a scary season to have a hangover when you drink too much because of humid. 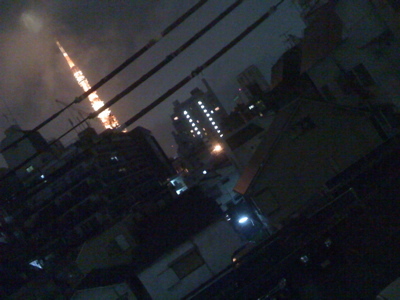 Anyway, there was the happiness of moment just like one night dream will be happened there. 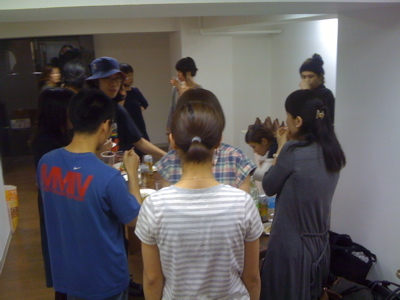 June 18/ In the evening, it was an opening party of young gest artist Mr. Manabe today. Many young people gathered. The fruit tree of the roof was a bad harvest this year. 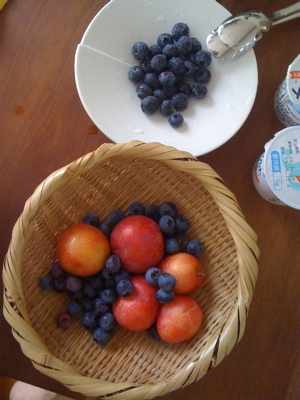 I still enjoyed blueberry and yogurt with a family for several days. An accounting firm came regarding the settlement of accounts of Fudeya today. As for Fudeya of this term, sales were ordinary decreases. Because we suppressed the expenditure somehow, it does not seem to be the deficit settlement of accounts. However, I was surprised at the excessive lowness to see the salary level of the recent finding employment front, and the economic conditions do not seem to be good. It was the periodic medical examination of the dentist once in two months today. I became uneasy not a usual dental assistant on this occasion. 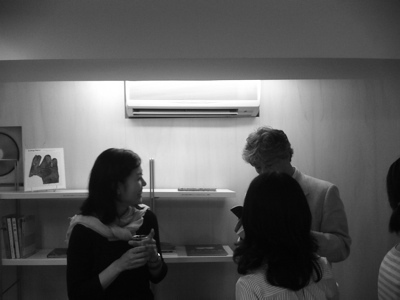 However, I was relieved because a usual assistant appeared immediately, and new faces were changed. Still,anyway,weather was good today.